Supreme 7000™ Synthetic Plus 2-Cycle Oil is a para-synthetic engine oil designed for water cooled, 2-cycle engines that specify the use of a 2-cycle oil that meets NMMA TC-W3. Supreme 7000™ Synthetic Plus 2-Cycle Oil is made with severely hydrofinished polyalphaolefin (PAO) synthetic base fluids and severely solvent refined, severely hydrofinished 100% paraffin base oils. Using a concentrated, ashless additive package, our 2-cycle oil provides reliable and optimized performance for water-cooled engines. Further blended into the oil are proprietary friction modifiers, Micron Moly® and Penetro, which create a slippery, tenacious shield to prevent metal-to-metal contact. 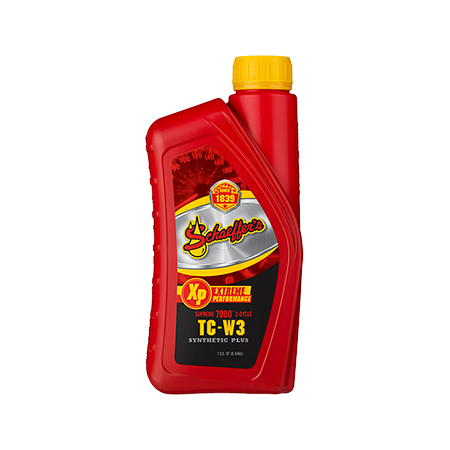 Not recommended for use in those 2-cycle engines that employ the use of rotary valves or power-valves or 2-cycle engines (*air cooled) that specify API TC, JASO FA, JASO FB, JASO FC, ISO-L-EGB, ISO -L-EGD, ISO-L-EGC and TISI quality 2-cycle oils. Superior detergency to prevent ring sticking and compression loss. Strong lubricity to prevent scuffing and engine seizure. High level of engine cleanliness. High temperature performance and protection for water cooled engines.